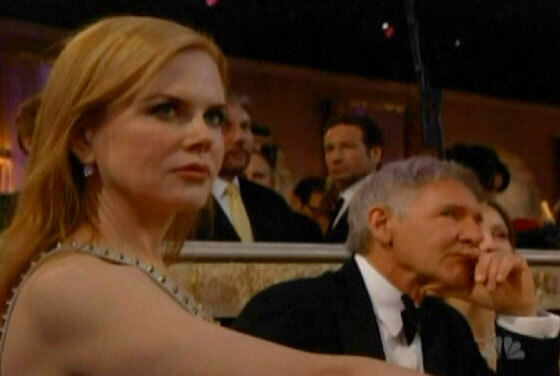 By now you’ve read everything you possibly can about last night’s Golden Globes. The winners. The losers. How everyone is coming down on Ricky Gervais for being “too soft”. iI you’re anything like me, you’ve watched Tina Fey photo bombing Amy Poehler and George Clooney complimenting Michael Fassbender’s “golf game” several times. But geeze, the Golden Globes were boring this year. I dozed off several times. Something was missing and it wasn’t just Mandy Patinkin’s beard. To be fair, it was a fitting ceremony given the serious lack of exciting film nominees… and the serious lack of exciting films in 2011. (I’m really not hyped about any movies this awards season.) Thank goodness for drunken celebrities. 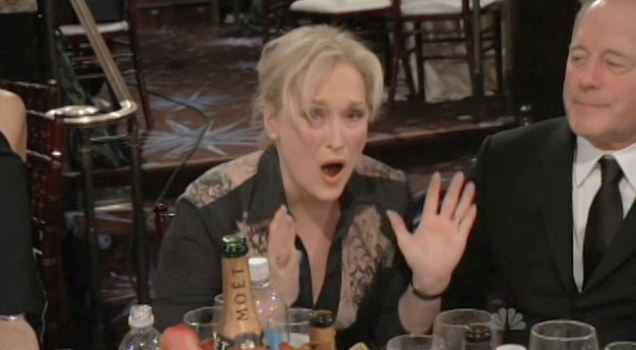 They are single reason to watch the Globes each year and some stars really brought their A-game. 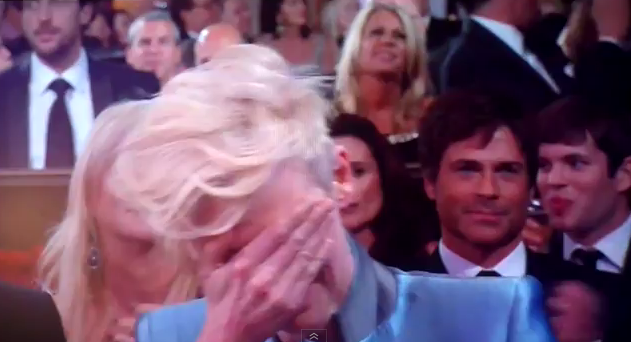 Tilda Swinton covered her face when Colin Firth read her name. Fortunately, Rob Lowe was there. 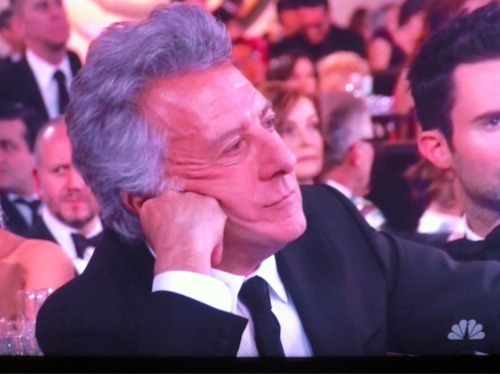 Dustin Hoffman could care less about all of you. Her face is so frozen. 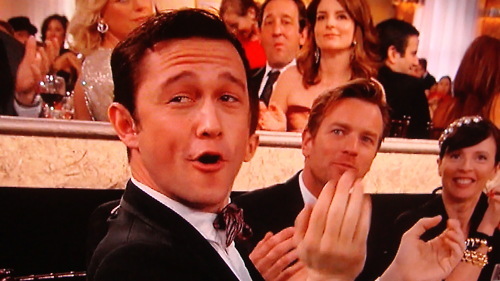 No, JGL isn’t being goofy. This is his mating call with Zooey Deschanel. Also, the 50/50–Beginners table was probably the party table. Ben Kingley is wasted. Whatever. He’s Sir Ben Kingsley. He can do whatever the hell he wants. 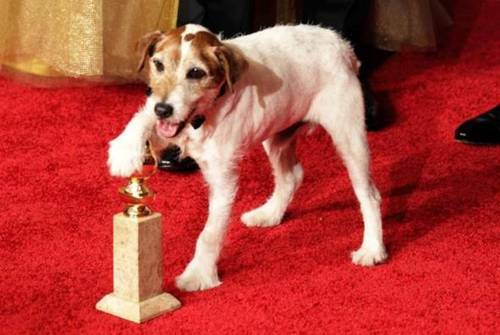 Uggie should accept all of the awards for The Artist. Only then I will accept its inevitable best picture win. 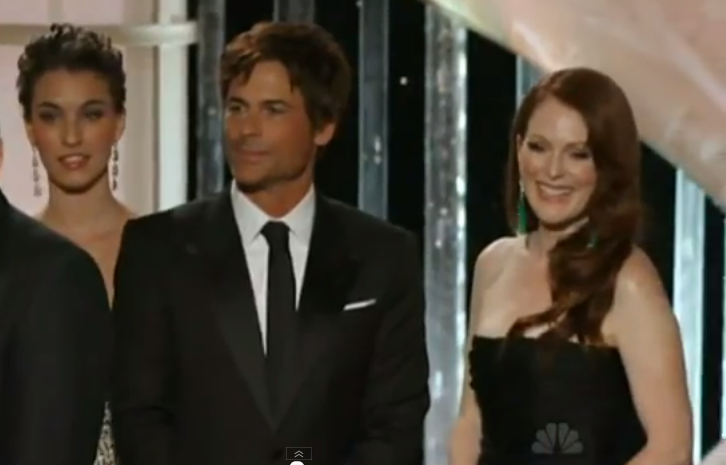 Rob Lowe and Julianne Moore are joining the cast of Downton Abbey for the third season.